*Add two qualifying Makita bare tools to your cart and the free item will automatically be added. Valid on select items, qualifying items are identified on the product page. Limit 2 free items per customer. Offer valid until 11:59pm ET on May 31, 2019 or while supplies last. No adjustments to previous purchases. Subject to change without notice. Express Delivery option not available due to transportation regulations. Every Makita® Lithium‐Ion Power Tool is thoroughly inspected and tested before leaving the factory. If you are not satisfied with any Makita Lithium‐Ion tool within 30 days of purchase, return it and Makita will provide, at Makita's option, a replacement or refund. Each Makita Lithium‐Ion Power Tool, Battery and Charger is warranted to be free of defects from workmanship and materials for the period of THREE YEARS from the date of original purchase. 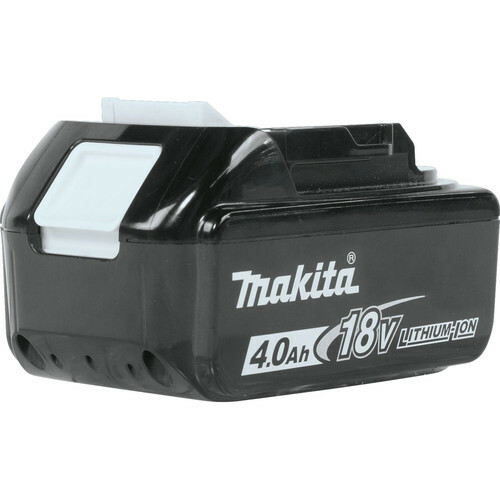 Should any trouble develop during the three‐year period for the Lithium‐Ion Power Tool, Battery and/or Charger, return the COMPLETE Power Tool, Battery and/or Charger, freight prepaid, to one of Makita's Factory or Authorized Service Centers. If inspection shows the trouble is caused by defective workmanship or material, Makita will repair (or at our option, replace) without charge. This warranty does not apply to Makita Accessories, like flashlights. In no event shall Makita be liable for any indirect, incidental or consequential damages from the sale or use of the product. This disclaimer applies to both during and after the term of this warranty. Makita disclaims liability for any implied warranties, including implied warranties of "merchantability" and "fitness" for a specific purpose, after the three-year term of this warranty. This warranty gives you specific legal rights, and you many also have other rights which vary from state to state. Some states do not allow the exclusion or limitation of incidental or consequential damages, so the above limitation or exclusion may not apply to you.